Gullo was promoted to Level 2. Have you ever looked at your fault log in Gateway LAN rather than over Insight2? I think you'll be surprised by the differences. My Insight2 fault log looks like yours, but all of the faults are clearing, so no worries. The interesting thing is that the fault log when you log in to the gateway directly is very different. There are still a lot of faults and warnings, but it's nothing like the Insight2. GrandpaRedneck, solarguy8585, lildre85 and galaxy_zone joined. misplacedfriday and ssmith1952 were promoted to Level 2.
get2anthony, ssmith1952, HankH, ric and solar_PR joined. roks1 earned the 10 Comments badge. The Company offers Consultancy services pertaining to Engineering and Commissioning Authority Services MENA to its customers, who include Civil Contractors, Business Houses, Industries, Real Estate Companies, Government Entities, A & E Consultants etc. 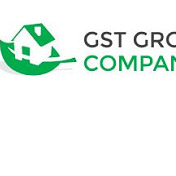 gstsolutions changed their profile picture. gstsolutions earned the Photogenic badge. Taslim was promoted to Level 2. TPA earned the First Comment badge. TPA, Guitarvango and dehahn1984 joined. dehahn1984 and Cadence earned the First Comment badge. Desert Rat earned the Sixth Anniversary badge. Desert Rat earned the 100 Comments badge. Desert Rat was promoted to Level 3. Cadence, SaltySal and AbbyTR23 joined. rooduJardin and flighthouse were promoted to Level 2. Taslim and cmduran earned the First Comment badge. Taslim, offgridinnc and cmduran joined. DaangeroussDan and Sunny-HTI earned the 10 Comments badge. DaangeroussDan was promoted to Level 2. 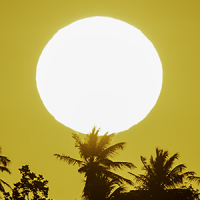 DaangeroussDan, Kenth, Sunny-HTI, sohaibnaqvi3 and freddieoliveras earned the First Comment badge. DaangeroussDan, sohaibnaqvi3 and freddieoliveras joined. Sunny-HTI changed their profile picture. Sunny-HTI and thund3rs earned the Photogenic badge.